Interior merchandising is about more than just good taste – it’s about procuring the finest selection of complementary pieces to highlight the best qualities in each home. After all, first impressions matter when it comes to helping prospective buyers find the right home. Exquisite interior design is often the deciding factor when it comes to making a sale. 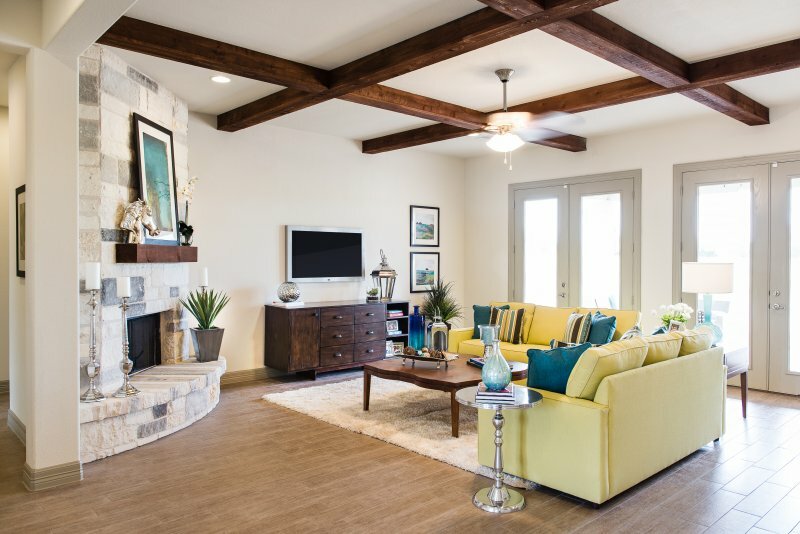 Our interior design for model homes throughout Austin, Dallas, Houston, Las Vegas, and Washington State use colorful interiors and elegant details that help prospective buyers imagine themselves in the space, living happily for many years to come. Our approach to model home merchandising keeps the homebuyer as the focus of the design process. We use lifestyle replication techniques to make each home feel livable and personal. Our designs invite buyers to look, touch and feel the way the home operates when it is put together. Attractive pops of color draw the eye toward the best features of each home in order to help highlight both architectural advantages and design possibilities. We believe that every model home is built with infinite potential. Truly unique design is what helps builders target the right demographic for results everyone will love. Our quality merchandising services add the foundation, details and finishing touches to each project. High-quality fixtures and furniture choices complement the color scheme of each home. It’s easy to see the potential in any model home with creative insight from our professional interior designers. Michelle Thomas Design has helped bridge the gap between builders and prospective buyers throughout the cities of Austin, Dallas, Houston, and Las Vegas. Contact us today to get a quote for your model home merchandising project.